There has been a lot of recent talk about data breaches, and today they have become so routine that they hardly make the news anymore, but it doesn’t make it any less important to be vigilant about your safety online both in your home and in your workplace. Below are simple steps to follow. Have you ever wondered how you end up on the end of those annoying and malicious emails, otherwise known as SPAM? Everyone knows the information is out there but the question remains, how can I find out if I have become a victim? 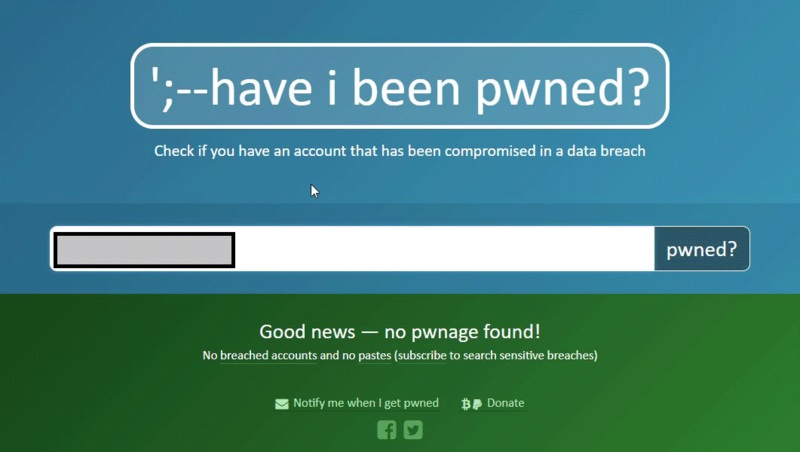 Check out have I been pwned? You can search by username or email address. What happens if you have been pwned? The simple answer is, change your passwords and change them now. Your information is out there with one or more people and who knows when they will use it. The longer you leave it the more likely something bad could happen. What simple steps can you take to protect yourself? Use password lengths to your advantage. “Littlejohnyscar” is an example of using simple words to create a complex password that is also easy to remember. Only use secure websites when providing information. Email and telephone is not a secure form of communication. Look for the padlock on a website. The above is a brief overview of how you can check, identify and protect yourself online. There are many more ways to improve your online security both personally and commercially beyond what is listed above. If you want to know more especially for how your business can manage this risk, please reach out on (07) 3177 0899 and we can help guide you through the process of managing your security.